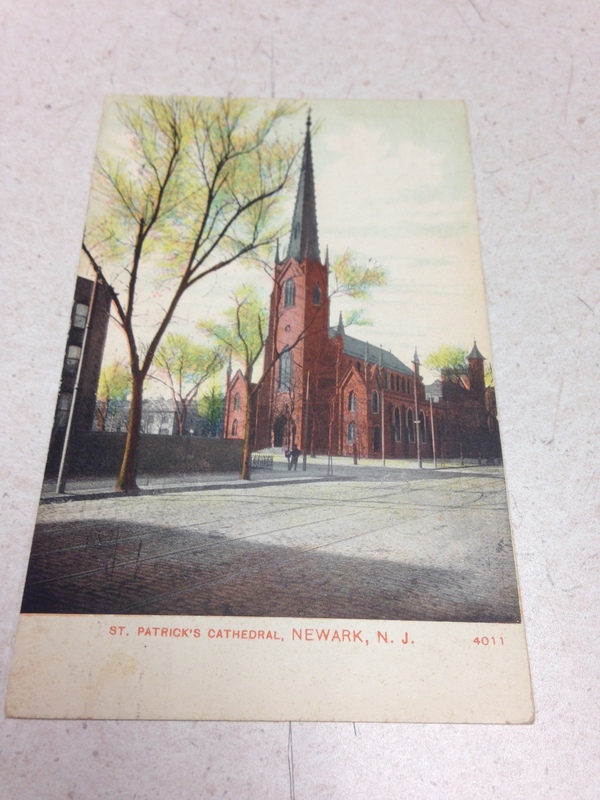 Built in 1846, St. Patrick’s was the Cathedral of the Archdiocese of Newark from 1853 to 1956 when the Cathedral Basilica of the Sacred Heart became the seat of the Archbishop. Although no longer the cathedral of the archdiocese several traditions remain from those days, including the 12:15 Ash Wednesday Liturgy presided over by the Archbishop. The church also hosts many Irish-heritage events throughout the year. St. Patrick’s having endured many years of differed maintainance has been largely restored and rehabilitated over the last 15 years. The post card in this blog shows a very tranquil street scene circa 1913 when the area was still primarily residential.